Here are some videos that could be early samples from the Yi 360 VR, a 360 camera with 5.7K video from action camera company Yi Technology. 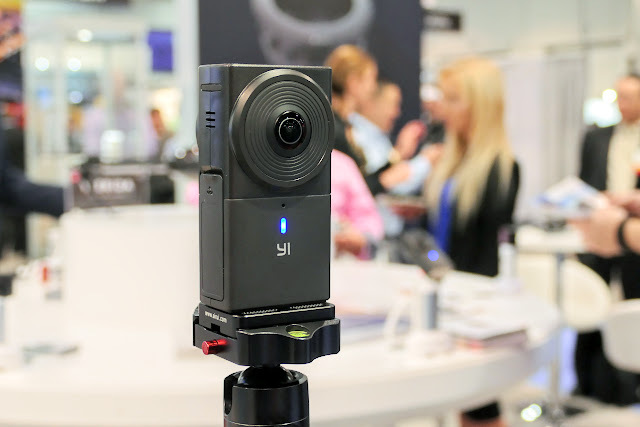 The Yi 360 VR is probably the most significant announcement to come out of NAB, with game-changing 5.7K video (or 4K with in-camera stitching) and 2.5K live streaming at just $400. 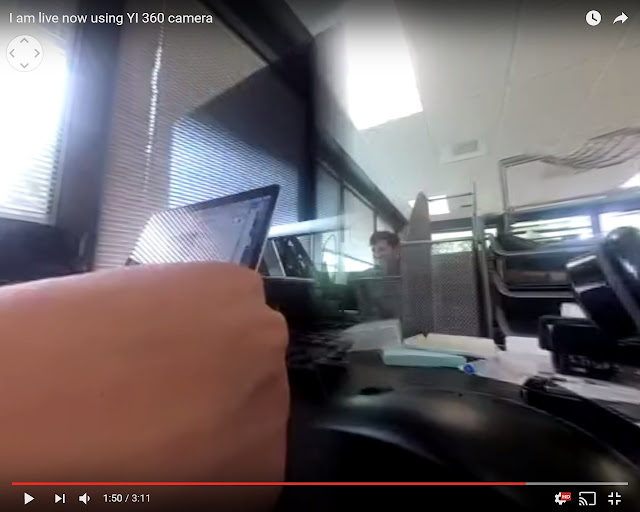 To put that in context, each frame of the Yi 360 VR video has about the same resolution as a Ricoh Theta photo (!). 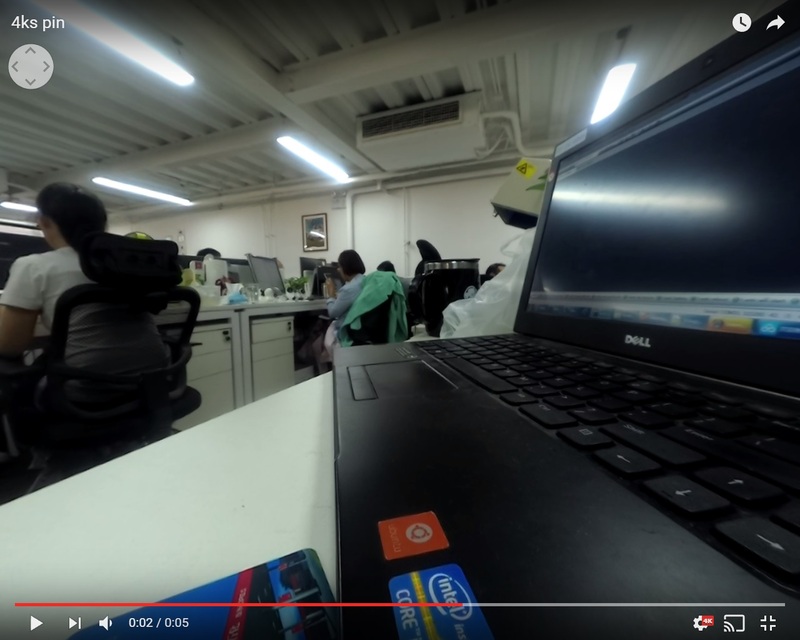 Two readers independently spotted some videos that may be samples from the Yi 360 VR. First, Kate Crosby found these videos that were labeled as test live stream videos from the “Yi 360 camera,” which seems to be a test from a Yi Technology employee. The video resolution is only 720p, but that could be because of the limited internet speed in China (presumably). There are other similar videos from the video’s author. 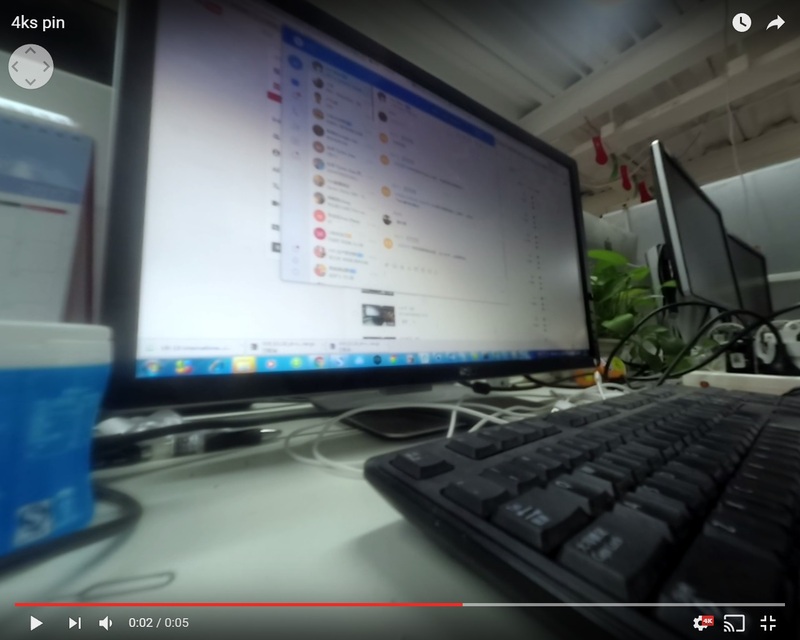 Despite the low 720p resolution, the video is actually quite detailed. In this frame grab, you can see the individual holes in the grill of the file holder, a level of detail I would not have expected from a 720p live stream. Dore Mark also found videos that might be from the Yi 360 VR. These are in 4K, and seems to be samples of in-camera stitching. I don’t know how long these videos will last because the author has been careful to delete test videos. For these samples, stitching is template-based (and therefore can stitch correctly at only one distance at any given time), which is to be expected for in-camera stitching. Here is a frame grab showing very good detail, possibly a better level of detail than anything I’ve seen from a 4K camera. On the other hand, this side of the image is quite blurry, possibly due to a dirty lens. Unfortunately, there’s no way to confirm these are actually samples from the Yi 360 VR, so please take it with a grain of salt. Meanwhile, my contact from Yi Technology said that they expect to have samples very soon. I’m very much looking forward to them, as I’m sure you are! Thank you very much again to Kate Crosby and Dore Mark for finding these videos! did your contact in Yi also mention when Yi will start shipping this product for those who pre-ordered?